The big day is finally here. 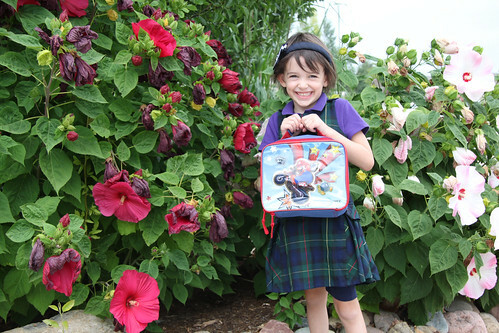 Reagan is in Kindergarten! For those of you who don’t talk to Reagan often let me tell you that this has been a hard wait for Reagan. She has been so excited for this day since graduating from preschool last year. She would ask us often if Kindergarten was starting soon. Sydney started school one day earlier then Reagan and that was really hard for this kid ready to go start learning. Reagan is in afternoon kindergarten this year which means we take Syd to school in the am and then take Reagan in for her day after lunch. I’m sure Reagan will eventually love the time home but for now she hates waiting for her turn. 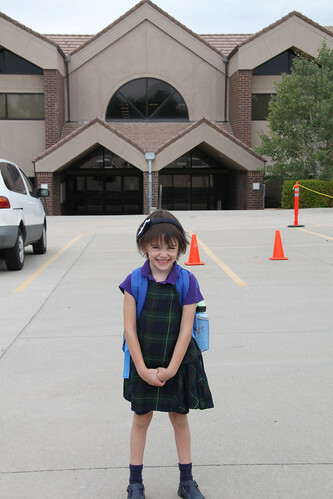 This morning Reagan came running out of her room all dressed in her uniform and pretty headband and was all smiles. She had been waiting for this day! However, she hadn’t quite grasped the concept of “afternoon kindergarten.” She was really confused when we told her she had to wait for school. 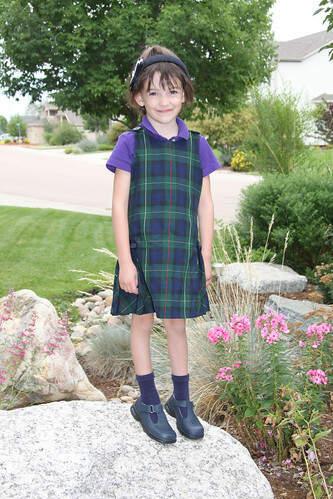 Anyway, here she is all beautiful in her school uniforms. 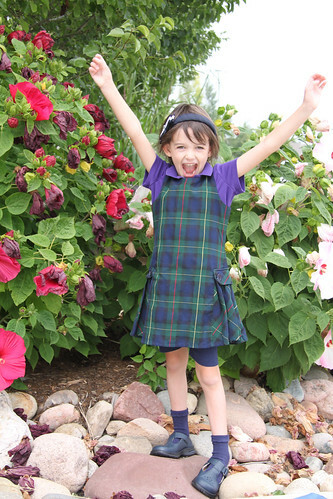 Kindergarten is the first year you wear uniforms so this was another cause for excitement. Reagan chose a Mario backpack and lunch box this year. I guess she has outgrown the princesses. I can’t tell if she’s more excited about seeing her friends or showing off her Mario gear. Even cooler then the backpack is that the lunchbox actually lights up. I am betting this will cause just a few distractions during snack time. 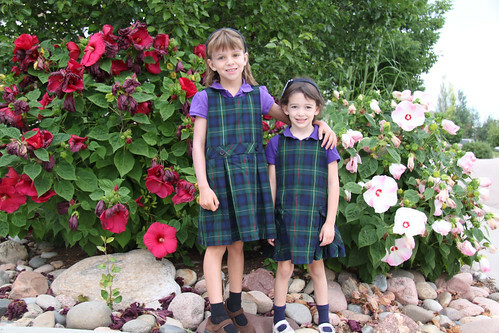 Sydney decided as a moral booster for her little sister she would dress up in matching uniforms today. Reagan thought it was really cool. 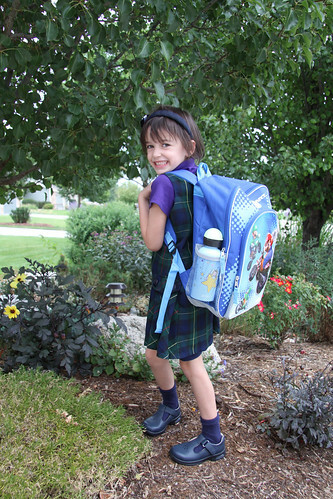 Here is one more shot as I dropped her off at school. Looks like she’s ready to go! After school I had the girls tell me all about their day. The big excitement was that Sydney’s class was assigned to be reading buddies with Reagan’s class. This would be Sydney’s first year as the reader, not the one being read to, which was very big girl for Sydney. So every Friday the two classrooms will get together to have reading time. How exciting to get to spend some time with your sister at school. Hope the school can handle two Fuller girl crazies.